DC’s easy to stereotype on the surface, but once you scratch the surface a little, we guarantee you’ll find more than tourists in matching T-shirts and g-men (and women) in business casual. There’s a lot to explore here, including this city’s geography. So, if you ever want to get off the literal beaten path, start exploring the city behind the streets. DC’s got some pretty sweet alleys. Here’s eight to check out. 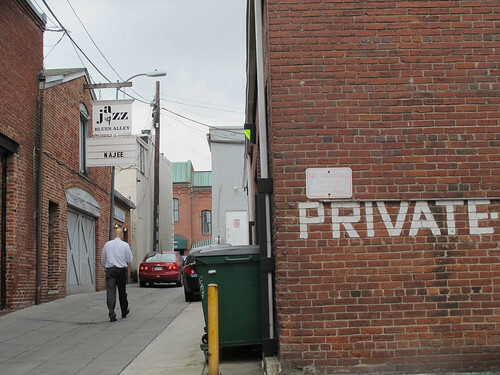 By far the tastiest alley in the city, this little side street, with outlets on both N, M and 9th St., NW, house one of the city’s best restaurants—Rogue 24. 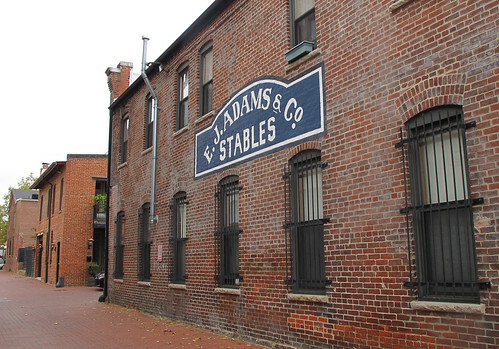 It’s also home to cute carriage houses, artist studios, cool old advertisements that have long since faded from buildings on main streets and oodles of other history. In fact, the government’s labeled this alley a historic district. 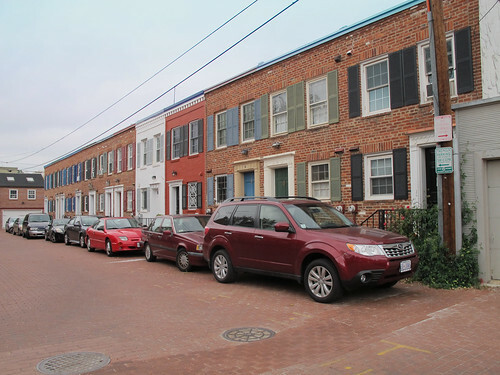 One block up from Blagden, running between 9th and 10th St., NW, with an offshoot onto O, is Naylor Court. Keeping with the theme of good eats, which little alley hosts one of DC's best sandwich shops, SunDeVich. All named after international cities, these sandwiches are worth the often double-digit price. Pro tip: don't miss the spicy slaw side. Plus, besides the delicious sammies, this alley has some cool old signage. 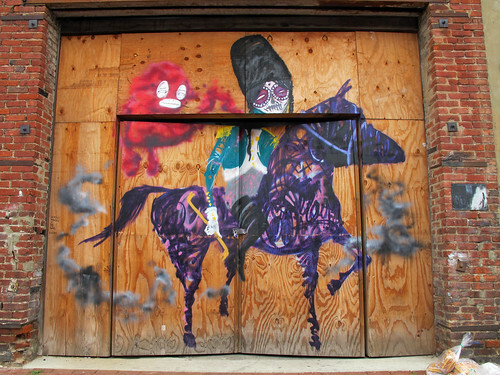 This self-proclaimed “Design District” is also home to one of DC’s best jazz venues, Blues Alley. Most refreshingly, this little alleyway that runs parallel to M Street is just a great way to give yourself a break from all the hustle and bustle on Georgetown’s often loud (and sometimes annoying) main streets. 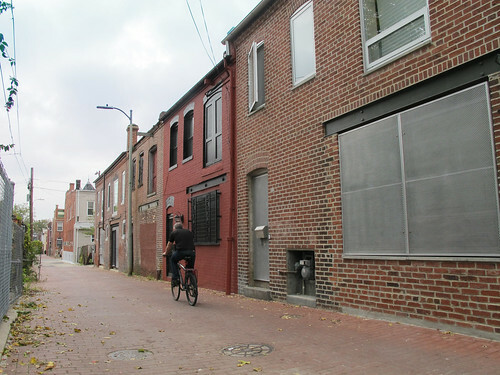 Just off U Street, between 1st St. and Flagler Pl., NW, this circular alley became DC’s newest street in 2010. 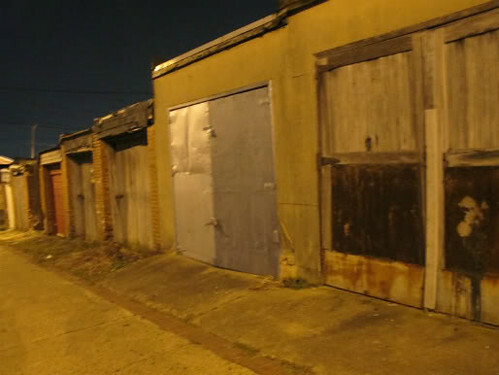 That said, it still has its alleyway vibe, which is a good thing. Much quieter than the main streets, this little way is full of old school Victorian houses, perfect for admiring while walking a dog. Or a cat. We won’t judge. 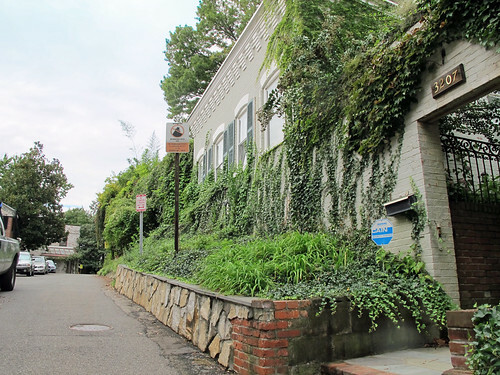 This pleasant side street that connects 6th St. and Independence Ave., SE, houses a few residential dwellings, a bit more artist studios and tons of well-kept garages. On a long walk around Capitol Heights, it’s a nice break from the main streets that start to blend together, especially with its old school cobblestone pavement. If you go north on Wisconsin coming from M, you’ll eventually hit Reservoir Road. About halfway before you come to the next intersection after you take a right, you’ll find Scott Place, which will connect you to Caton Place before spitting you back onto the street. While there’s no retail back here, there is a pretty Zen vibe. Maybe due to all the multimillion-dollar residences. 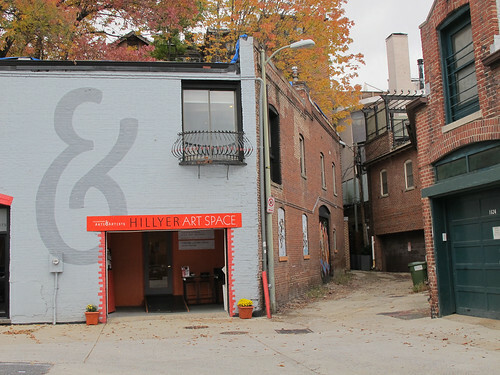 OK, so this is seems more like a parking lot than an alley, but on this side street, which branches off of Florida Ave., NW, before it intersects with Connecticut, you'll find one of DC's best art spots, Hillyer Art Space. Alas, while it looks like a parking lot, all the spots are reserved for members of the high-fallutin' (high-fallutin', I say!) Cosmos Club and those who work at the Phillips Collection, which abuts the back of this court. 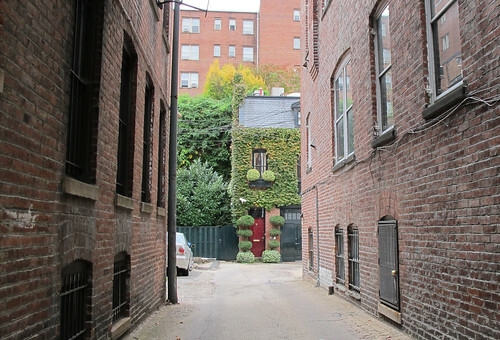 Bonus alleys: ALL OF THEM!